The height of professional youth work in Australia is the humble degree program. Three years of your life where you get to learn all the ins and outs of the profession of youth work in Australia. There are currently six youth work degrees in Australia, each with their own distinctive points. If you are considering studying a youth work degree in Australia then you need to weigh up the pros and cons. 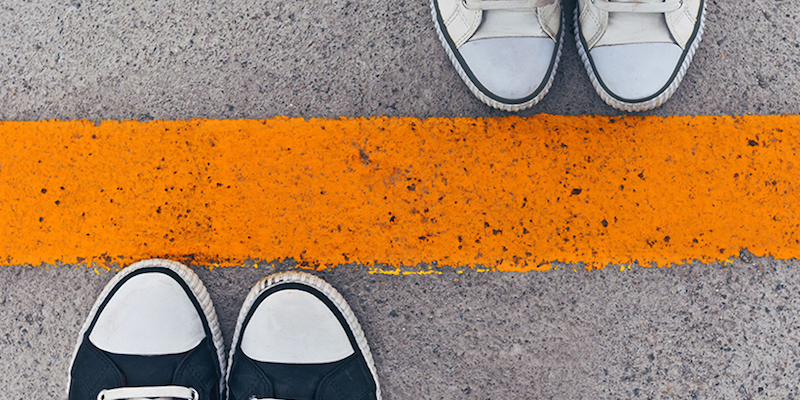 A helpful first step is our podcast “How do I become a youth worker“. Another point to make is that all youth work degrees in Australia a regulated by the Tertiary Education Quality Standards Agency (TEQSA) which assures the quality of Australia’s higher education sector. All the courses have had to meet rigorous and exacting standards to be able to be endorsed including a review by industry experts and academics. So whichever course you choose, know that you are getting a comprehensive course which has been developed to meet the highest standards of education. Youth Work is an exciting and challenging career involving working for and with young people in a variety of fun and rewarding ways. The key thing that differentiates youth workers from other community service workers is that young people are their primary concern. Youth work acknowledges the social and cultural environments within which young people live and helps foster young people’s emotional and social development. In addition to the core youth work units, students can choose between minors in counselling or sociology. You will receive valuable practical experience in working with young people, in addition to the theoretical insights and practical competencies needed for dealing with the needs, problems and aspirations of young people. Youth workers improve the life outcomes for young people. We encourage their personal and social development while helping them to become active citizens. In our Bachelor of Applied Social Science (Youth Work), you will gain a strong foundation for working with young people. You will gain specialist knowledge to support young people experiencing difficulties from a trauma informed care perspective. To get you ready for a challenging and rewarding career you will spend 70 days on professional work placements. Our degree is taught from a Christian worldview perspective, and is delivered by experts in the field of youth work. You will receive guidance from specialist youth workers and experienced sociologists, community development workers, social workers and other relevant areas. 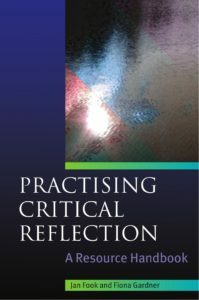 You will graduate with the knowledge, skills and experience to support young people as a reflective practitioner. Provides a comprehensive program of study in the essentials of youth work as an embedded practice within community work. The course includes specialist units in youth work, plus complementary studies in community work. Students can choose complementary areas of study such as Aboriginal and Intercultural Studies, Addiction Studies, Community Work, Criminology, Psychology, Counselling, Visual Arts, Media and Communication, Events Management, and Outdoor Adventure. Young people are actively involved in shaping our world. So, what will this world look like for all of us in the future? How will life be better for citizens of the next century? The Tabor Bachelor of Applied Social Science (Youth Work) is developed around a central, optimistic ideology – that young people enrich society. Such enrichment requires unity and collaboration. Human experience is fundamentally relational and Tabor believes that any society is made better by the presence of multiple voices. The Tabor program is designed to promote the critical need for a collective voice in shaping our future world. This belief, grounded in the social sciences and our own spiritual values, drives us to play a role in the ongoing struggle for justice and to help young people excel in an interconnected society. The Bachelor of Youth Work and Youth Studies explores complex issues affecting at-risk youth, such as homelessness, radicalisation, poverty and mental health. It encourages critical debate and investigation of youth in relation to space, digital landscapes, culture, religion, family and the law. The role of a youth worker is diverse, with many challenging and rewarding career opportunities. This program aims to examine and foster the environments in which all young people can thrive and feel confident, connected and safe. In our youth work degree, you'll learn to help young people develop through activities that are enjoyable, challenging and educational. 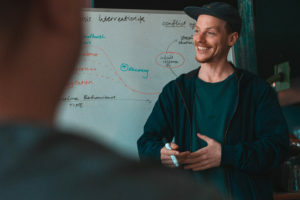 Can we suggest that if you are in youth work or are looking to be a youth worker and you want to be in the sector for more than a couple of years then you need to have a youth work degree in Australia. The knowledge, practice wisdom and experience you gain will hold you in great stead for many years. Whichever degree you choose know that you are going to be learning from the best in the sector. Remember that each of these degrees have their own take on how to do youth work, but the core business of working with young people to encourage, empower and engage young people is the same. Let us know who you choose to study with! What drug is that? The top 5 youth drugs in Australia. In todays post we have scoured the depths of Youtube to find some great videos with information to help you answer that annoying question ‘what drug is that?’ We have found info on some of the most common drugs that young people use and will link you in with some resources that you can use in your practice with young people. What better way to start than with a light hearted look at the possible drugs our young people have access to in todays world. Alcohol is the most widely used drug in Australia and for a lot of young people it can be a rite of passage and an important part of social inclusion in the adolescent years. With the adolescent years being an integral time for brain development, the neurotoxins in alcohol can potentially cause significant harm if not used safely. That is why it’s important to make sure that young people understand the effects of alcohol and are armed with as much information as possible to consume safely and look after each other when they do. Headspace have created this video and an information page that is easily digestible for young people, albeit a little cheesy. But who doesn’t like cheese. Next up we have Cannabis, or Marijuana, Weed, Choof, or a myriad of other street names that we would all be familiar with. Also one of the most common drugs used within Australia, with under 30’s being the highest users. If you aren’t familiar with the below video, it was a $350,000 (failed) attempt by the NSW government to raise awareness about the effects of Cannabis on young people. Whilst it did provide us with a few laughs, there are questions about its’ effectiveness of informing young people. The National Drug Strategy Household Survey 2016 states that young Australians (aged 14–24) first try cocaine at 19.2 years on average and it is the second most commonly used illegal drug after cannabis. So what is cocaine? In short, cocaine from its’ original form as a coca leaf, goes through about 8 processes and is mixed with at least 11 harmful and poisonous ingredients along the way, including gasoline and cement. It is also common to mix cocaine with other drugs including amphetamines. By the time cocaine reaches the street there is no way to know what has actually been used to mix and cut the drug. The above video gives a brief overview of what is in cocaine. If you would like some information about the effects of cocaine and links to services’ head to the Alcohol and Drug Foundation website provided below. Methamphetamine is a man-made stimulant drug and it is a more potent form of the drug amphetamine. When it is in its crystalline form, the drug is called crystal meth or “ice”. Whilst both drugs cause similar symptoms, methamphetamine has longer-lasting and more harmful effects on the central nervous system. These characteristics make it a drug with high potential for widespread abuse. Consequently, it has been thrust in to the public eye on a large scale in recent times due to the devastating affect it can have on the individual and the wider community. In 2016, the Australian government launched the Nation Ice Action Strategy as an attempt to reduce the supply and demand and to increase education, prevention, treatment, support and community engagement. There entire strategy is funded for just under $300 million which will be divided amongst different programs working towards tackling both alcohol and drug problems Australia wide. MDMA is the main ingredient in the party drug Ecstasy and the most common form of ecstasy used comes in either pill or tablet form. The average amount of MDMA in a “pill” is 70-125mg. When ingested, MDMA causes the release of the neurotransmitter serotonin, which plays a vital role in mood regulation and helps defend against mental health issues such as anxiety and depression. If our serotonin stores are depleted it can have a debilitating effect on our sleep, memory and learning, temperature regulation, and some social behaviour. In Australia, there is currently a big push for “pill testing” to become legal at music festivals as a harm reduction method. Due to the amount of unknown and potentially dangerous ingredients used in the production of MDMA, especially pills, this method is seen by some professionals as a step towards reducing drug related deaths and overdoses at festivals. For further information on this and MDMA visit the links below. 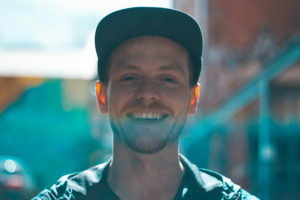 For further information on the 2016 National Drug Strategy Household Survey as well as a detailed summary of what you can do to support young people in accessing treatment options for alcohol and other drug related issues, read the article below by Ultimate Youth Worker Executive Director Aaron Garth. Also, check out our blog for other recourses on this topic and many more. To support the podcast, donate her! 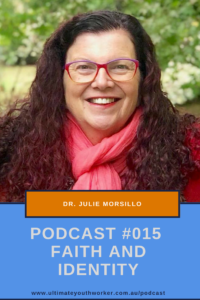 In this episode of the Ultimate Youth Worker Podcast ‘Faith and identity’ Aaron speaks with Dr. Julie Morsillo about her work focussing on youth identity development and what impact faith has on this. Julie grew up in Sydney, spent a year in Papua New Guinea with her parents where she was an assistant primary school teacher and piano teacher. She went to the Bible College of South Australia in Victor Harbour. Then moving to Melbourne Julie has been involved in church leadership, a foster parent and cottage parent, she worked for the North-West One Stop Welfare Centre, Victoria Equal Opportunity Commission, Victorian Public Service Commissioner, International Commission of Jurists, International Red Cross and Whitley Theological College. Julie has also been an adjunct lecturer in psychology and community development at Victoria University, the counselling co-ordinator at the Asylum Seeker Resource Centre, researcher in the Public Interest team at Australian Psychological Society (APS) and has had her own private practice as a counselling psychologist and supervisor of provisional psychologists. If you are wondering how to best implement what you hear on the podcast we think getting supervision is one of the best ways. Having the opportunity to critically reflect is the best tool for career longevity we know of. If you don’t currently have a supervisor who looks to grow you as a person and as a professional then its time to get an external supervisor. We can help with that!! !